Apple iPhone 6 complete replacement screen in white. 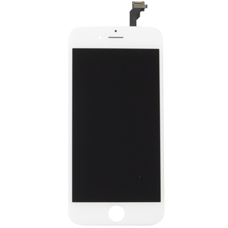 This white iPhone 6 screen comes complete with the LCD and touch screen, if you have broken your LCD or glass touch screen or both this is the correct white iPhone 6 part, this complete screen makes replacement of the display on your iPhone 6 simple and straight forward. * For All iPhone 6 4.7" Models.